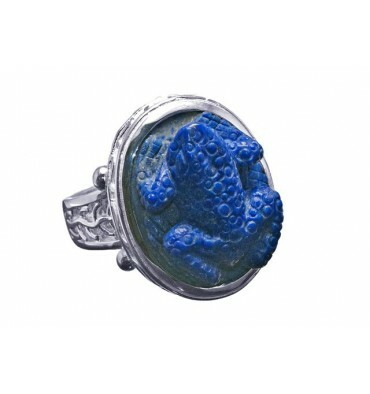 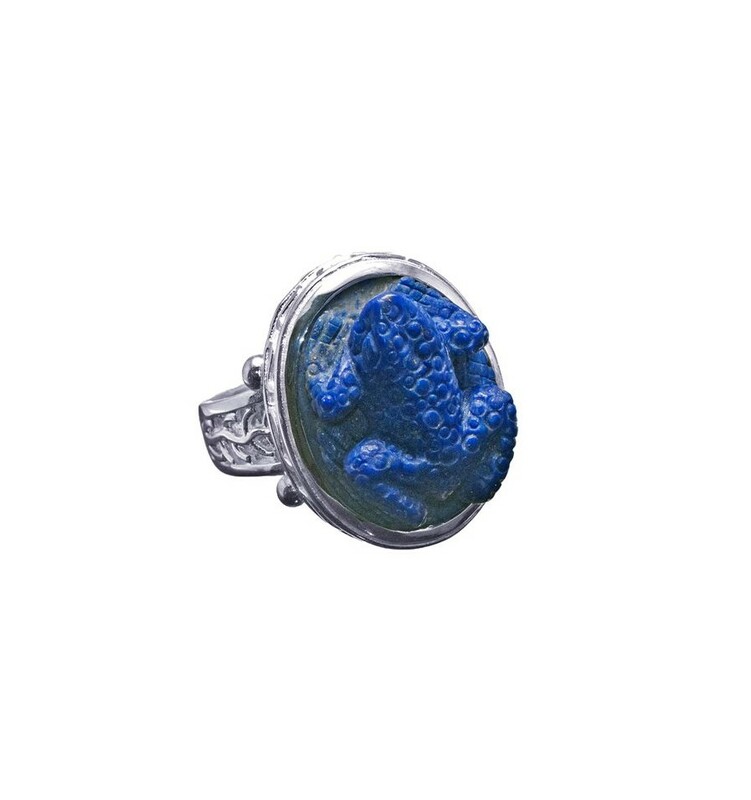 A Frog Ring featuring a beautiful Lapis carving mounted to silver. 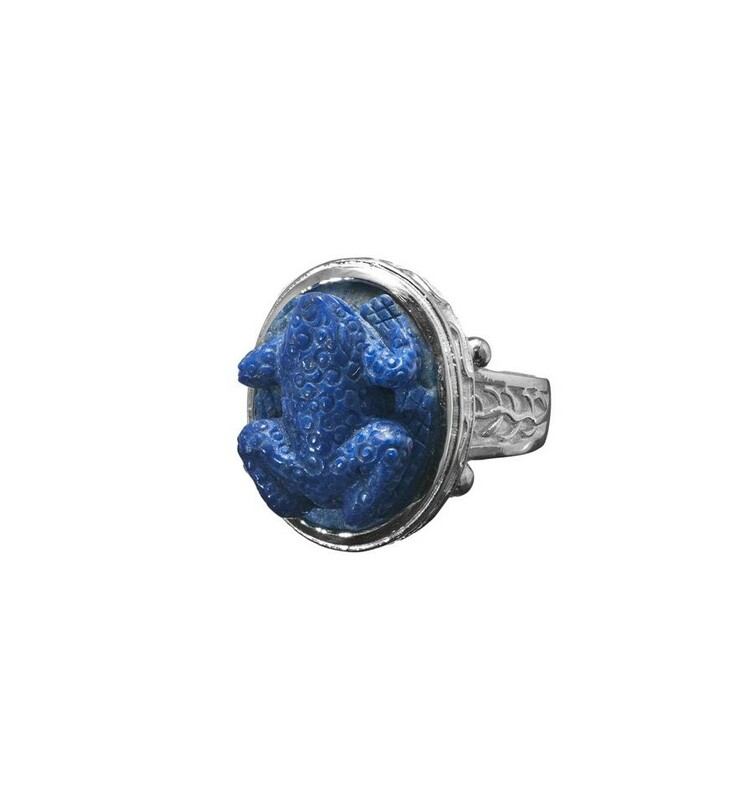 Hand engraved Frog called Herve high quality of Lapis lazuli to a Byzantine style solid sterling silver .925 chassis to create this impressive unisex ring. 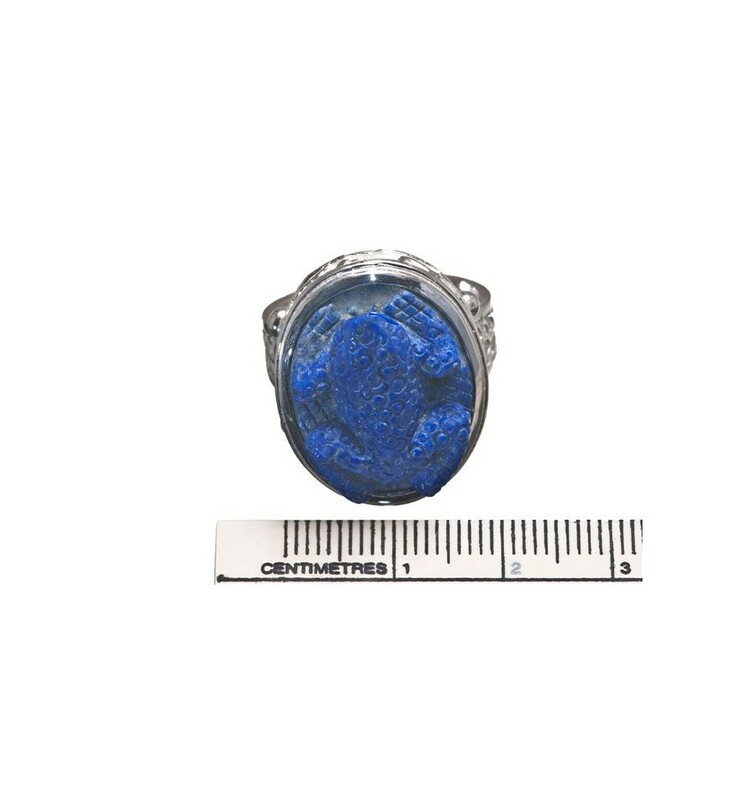 FREE Resizing to fit your finger. 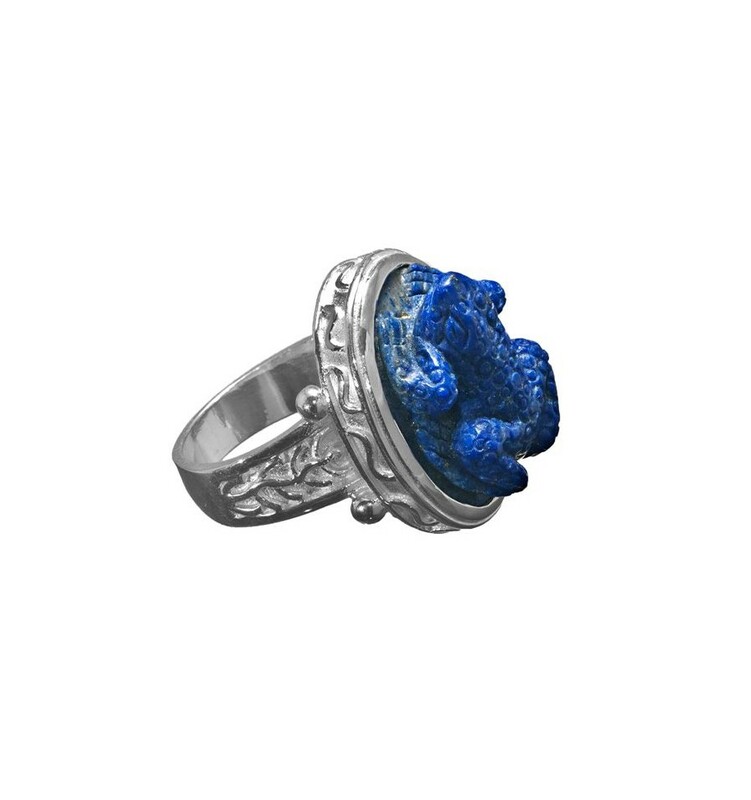 Please select from the menu below.